Comfortable and individually adjustable with a focus on consistent lightweight design – this is Brose’s vision for the next generation of multifunctional vehicle interiors. 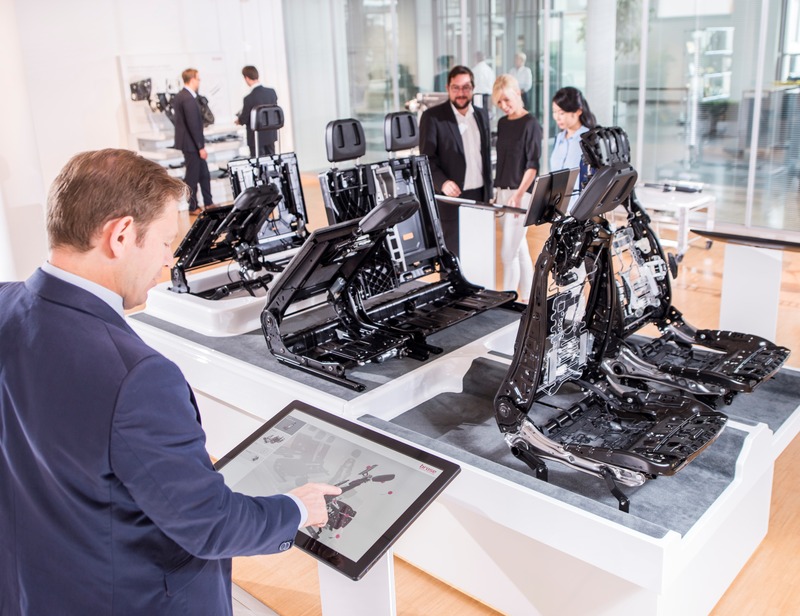 The mechatronics specialist is presenting a fully powered first, second and third row of seats at the International Motor Show (IAA). A new rail concept for length adjustment creates premium interiors with more legroom in the rear. Vehicles should adapt with ease to any situation: sometimes many seats are needed, other times maximum cargo capacity. Yet the majority of today’s automobiles hardly offer users any freedom to adapt the interior to their needs. And the ones that do often require a lot of work (and muscle) to change the seat configuration. Brose is showcasing a comfortable alternative at the IAA with its new seat platform featuring the complete electrification of all seat rows. For the first time, the load-through in the second row also features power folding. All levels of adjustment can be controlled independently or in unison – for instance, via smartphone or gesture control. Adjustments made to settings can be saved and applied again at any time for maximum customization. The vehicles of the future will increasingly be both working and living environments. This also leads to a growing demand for interiors with a premium look. Brose developed a new rail concept for length adjustment for its seat platform. It creates a more aesthetic interior, with the seat rail disappearing from view as one of the last technical elements. Another effect is that it gives rear seat passengers more legroom. The automotive supplier has also kept its focus on lightweight design. For example, thanks to an intelligent material mix, Brose’s front seat structure is still the lightest solution on the market. At 15 kilograms, it is roughly 20 percent lighter than comparable products. Innovative materials contribute to this: the load-through in the second row made using organo sheets (long-fiber-reinforced thermoplastics) saves up to 1.5 kilograms of weight per vehicle. The back panel offers a similar advantage: instead of conventional sheet metal, it is made of a combination of paper and plastic materials.